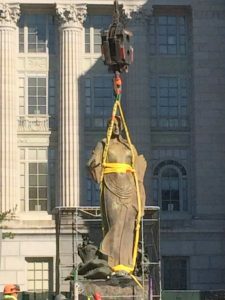 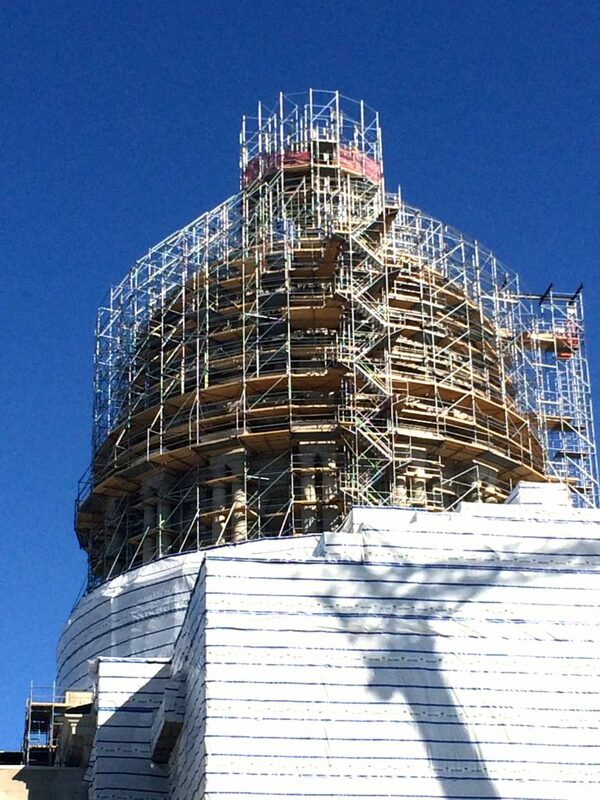 The bronze sculpture of Ceres, the Roman goddess of agriculture, fertility and a mother’s love of her children, was removed from the top of the Missouri Capitol dome on November 15 as part of a multi-million dollar renovation of the entire building. 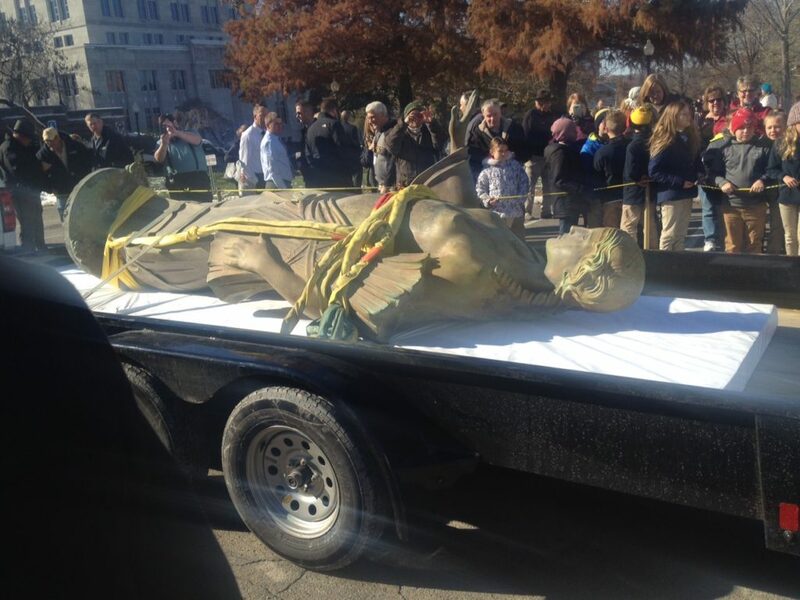 The 10 foot tall, 2-ton statue will undergo repairs from damage sustained by lightning strikes. 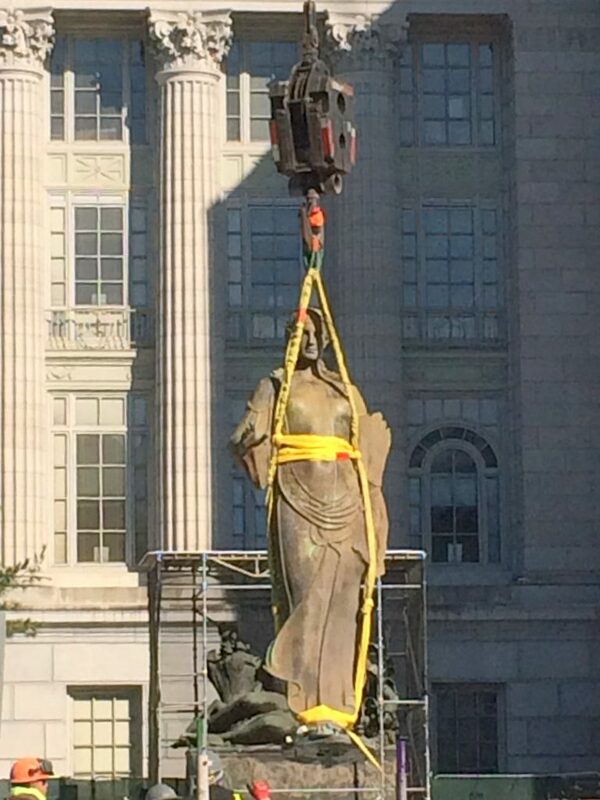 Attorneys Paul Boudreau, Erin Wiseman, Greg Mitchell and Stephen Rehagen walked the several blocks from the firm’s offices to the Capitol grounds to witness her arrival at ground level.